Dan Callahan's daughter was supposed to take care of her fourth grade class's pet mice over the Christmas vacation—or so she claimed. Melissa Logan, the little girl's teacher, wondered why she had gotten close with the handsome single dad, only to have him back off unexpectedly. 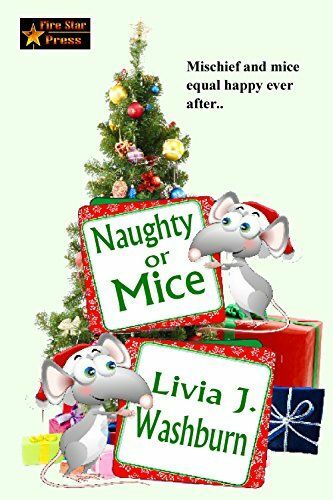 But when the mice went missing, the truth about everything came out, and the search for the elusive creatures led not only to unexpected secrets from the past but also to the answers that two lonely people had been seeking without even knowing it. 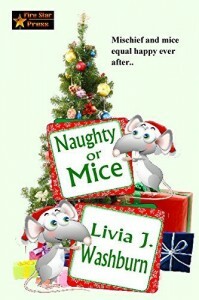 NAUGHTY OR MICE is a heartwarming Christmas novelette from award-winning author Livia J. Washburn. Funny, poignant, and romantic, it's a charming "tail" you won't soon forget.